We’ve got a brand new episode of Comic Book Shopping for you and this one’s celebrating an especially big return. Hellboy is back on the big screen and we’re talking with the new Beast of the Apocalypse himself, David Harbour. Comic Book Shopping hosted by Collider Heroes’ Coy Jandreau gives guests the opportunity to tap into their inner comic book fan by spending some time browsing the racks at local comic book shops in Los Angeles. Past guests have included Zachary Levi, Michael Rooker, Michael Giacchino, Frank Miller and many other industry heavyweights. In the new Hellboy movie directed by Neil Marshall, Harbour’s Hellboy is called in to deal with a group of giants ravaging the English countryside. That’s where he comes to learn that there’s an even bigger threat on the horizon. The Blood Queen (Milla Jovovich) is back and she’s out for vengeance. If mankind stands any chance against her wrath, Hellboy is going to have to step in and give evil hell. Harbour recently swung by Golden Apple Comics in Los Angeles to walk the aisles with Coy. They discussed how he first got into genre entertainment, the blast he had bringing Hellboy back to the big screen, their favorite comic books available right now, and so much more. You can give this brand new episode of Comic Book Shopping a watch using the YouTube embed at the top of this article. 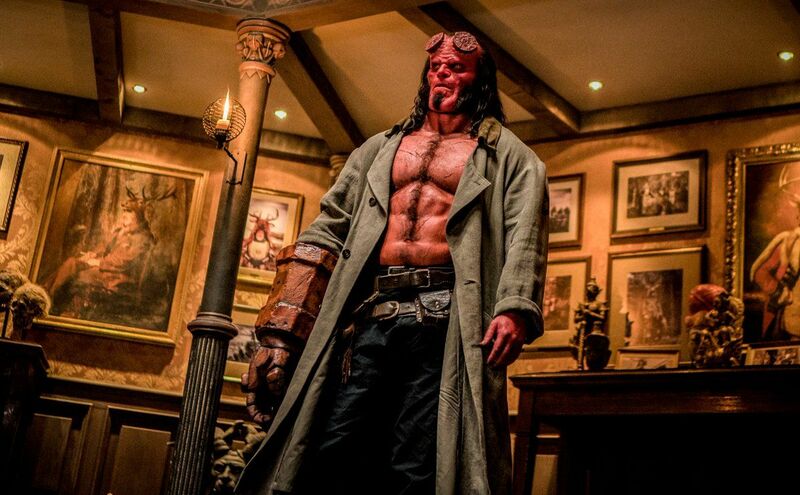 Also, be sure to catch Hellboy in theaters nationwide right now. We’ll have more installments of Comic Book Shopping coming to the Collider Video YouTube channel real soon!